Cloudburst state to be influenced by indie rock from the 90's which is in a way coming back into the fore lately and will without doubt set them apart from the rest. On listening to the tracks they have released, there is definitely a tip of the hat to the likes of Noel Gallagher style guitar and the general style they have. While they are not copying the Oasis method, they are using it to mold their own. Their own sound has a great lead guitar sound with a great tempo on the drums and vocals which inspire. Still they have a long way ahead of them and are just in their beginning stages of the band, but with just a quick start and eagerness to succeed its hard to not see a bright future for the band. To find out more about Cloudburst and what drives them, I set Eric Kostadinov, their singer, guitarist and song writer some questions, which you can read below. Introduce Cloudburst and what roles you play in the band. Hello, I’m Eric, the lead singer, guitarist and songwriter in the melodic rock band Cloudburst. 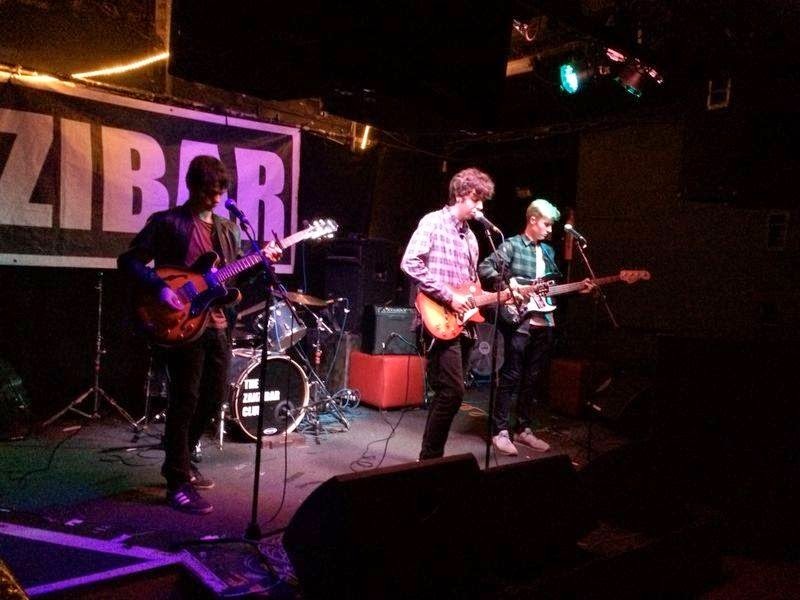 Also in the band are Toby Ridehalgh on drums, Tommy Walker on rhythm guitar and Joe Hardy on bass and backing vocals. What artist/bands have been a big influence for each of you when it comes to music? My main musical influence is Bill Ryder-Jones, the former lead guitarist of The Coral. His last album is really amazing, and directly influences a lot of the songs we play. I also love bands like The La’s, The Coral and The Smiths. Those 3 bands in particular have really great melodies and guitar styles which inspire me a lot. Tommy has a similar music taste to me in many respects although his favorite bands are The Stone Roses and Oasis. Joe again has a similar music taste, but Toby the drummer is mainly into punk bands such as Misfits. We are getting him into some other bands like Arctic Monkeys, which is a band he’d never really gotten in to before he joined Cloudburst. How did you all meet and how did Cloudburst form? We all met in the bands hometown of Runcorn, near Liverpool. Me, Tommy and Joe have all known each other since the start of high school and we’ve been good mates since then. Tommy and Joe had known Toby from primary school, but I only met him when he came down to practice with us for the first time. Without Toby, the rest of us had been trying to get a band together for almost a year, meeting countless drummers and getting nowhere, but when we all met Toby and saw him play we knew that finally the band was ready to go. For those reading this that haven't heard Cloudburst, what does the band sound like? ‘Melodic guitar rock’, is what I’m going to say! To be honest our musical style is quite hard to pinpoint, which is a good thing I suppose. We have some songs people would say are ‘Rock n’ Roll’, inspired by the more rocky Coral songs and Oasis, but we have others which are of a different style, with picked clean chords on electric guitar with an acoustic guitar flowing alongside. Some songs are influenced by people like Bob Dylan and Neil Young too. Listen to Bill Ryder – Jones’ second album if you want to get a feel for what inspires our slower songs. What three words would you choose to describe the band? Who writes the songs you perform and what is the song writing process? I write all the music and all the words. Usually I’ll just be playing my guitar at home and I’ll sing a random melody over the top and before you know it, a song is born. I’ll develop it in my own time as I think about all the different parts to the song, sometimes it can take 2 minutes sometimes it can take longer. I’ll then show the song to the band who play what I say. The rest of the band will sometimes add their own little thing to a song, maybe an extra drum beat or an extra bass line, which can really help the song sometimes. I’ll usually write the lyrics last, they normally take the longest to sort out. Are you looking forward to any gigs later in the year? Yeah, we are playing in The Box in Crewe on Friday 23rd January which I’m really looking forward to. We are also playing at The Orford Hotel in Warrington on Saturday 31st January which should be good too. What has been the most memorable gig to date? 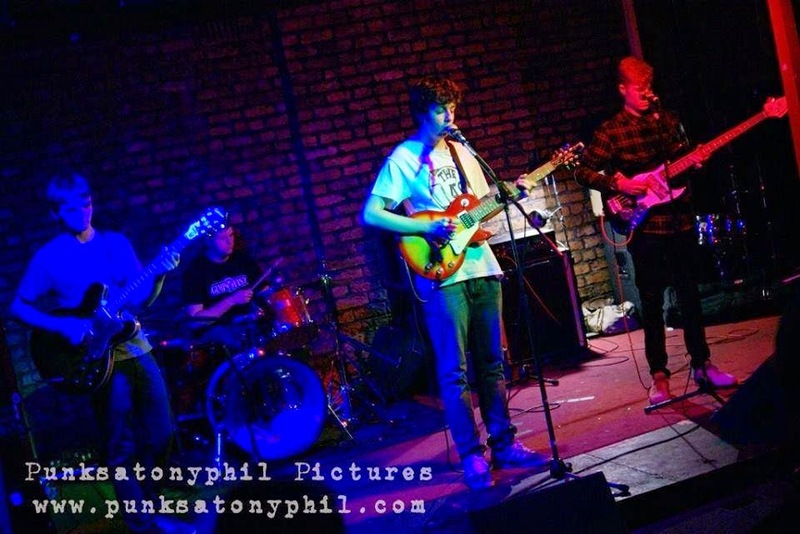 Probably when we played at The Zanzibar in Liverpool last August. It was the third gig we’d done in a few days, but it was the first gig we’d booked so for a long time we were very anxious about how it was going to go. I remember it being a really great gig running very smoothly, and we were all made up after we played it. Is there anyone you would like to acknowledge for helping out with the band? All our parents and families for doing everything they can to try and help the band succeed, we really appreciate it. I’ll also give a mention to ‘The Studio’ in Widnes, where we often rehearse and have played a couple of shows at. It’s also where we have recorded our first few songs. It’s a lottery funded project, so has been completely free to use. All the people who work there are the nicest people you could ever hope to meet, and we’ll always be thankful for the help and support they’ve offered us. Enjoy yourself, and if you want to be successful in music then be prepared to put the hours in. What an inspirational answer that is! Does Cloudburst have big plans for the future? Definitely, the main thing for me is to make a record I love, and most importantly, other people love too, whether that be 10 people or 10,000 people. I want people to feel about a Cloudburst record the same way I feel about some of my favorite albums. 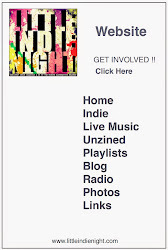 Do you feel social media is a necessity when getting the word around about the band? What social network pages do Cloudburst have? I think in this day and age bands can’t get away without having social media, which shows just how important it is. We have lots of social media pages, Facebook, twitter, Instagram etc…..